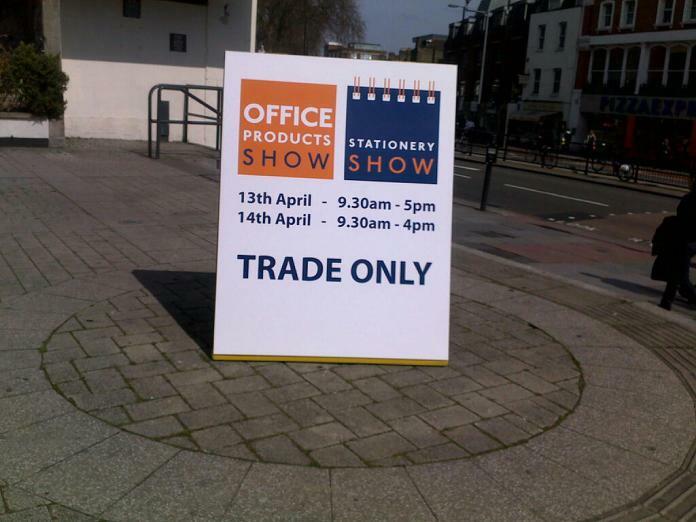 When I first heard about SOPX – the Stationery and Office Products Show, I was very excited. I’m not sure what I was expecting, but I was very excited. I didn’t really know what I was expecting. I think I was hoping there would be some sort of exciting product launch. A man on stage saying “Introducing, a revolution in ballpoint technology” and unveiling a new type of pen in a special glass case to an awed audience. A moment of silence followed by rapturous applause. Perhaps there would be some sort of laser light show. Paperclip shaped confetti raining down on the delighted crowd. Women in bikinis handing out highlighter pens. People in giant pencil costumes. There wasn’t anything like that. It was almost completely silent. Middle-aged men wandered around and quietly spoke to other middle-aged men about how if they agreed to feature their display stand prominently in store, they could get a discount from the wholesale price listed in the catalogue. 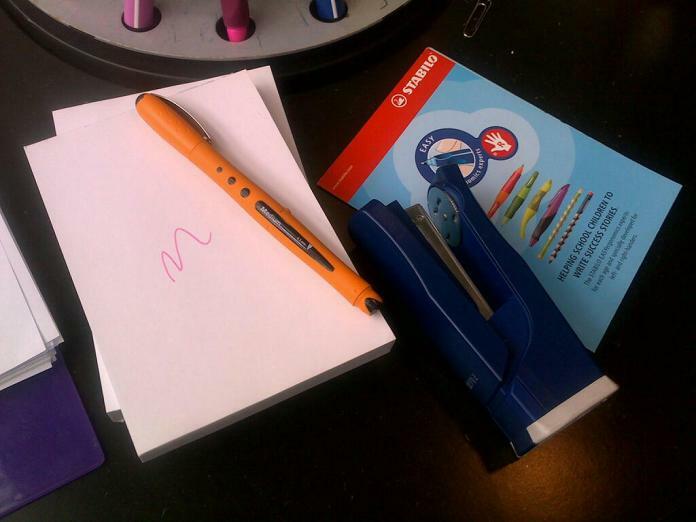 I headed over to the Stabilo stand. I was pleased to see my old friend, the Bionic Worker, on display. The man from the Stabilo stand came over to me. I asked if he had a catalogue I could take away with me. “Do you know, this is my very last one. Give me your address and I’ll get one sent out to you”. I wrote down my address. “So are you from a shop or…?” I told him I ran a website. This seemed to satisfy him and he started talking to someone else. For all I know, he probably tore my address in half and threw it in the bin as soon as my back was turned. 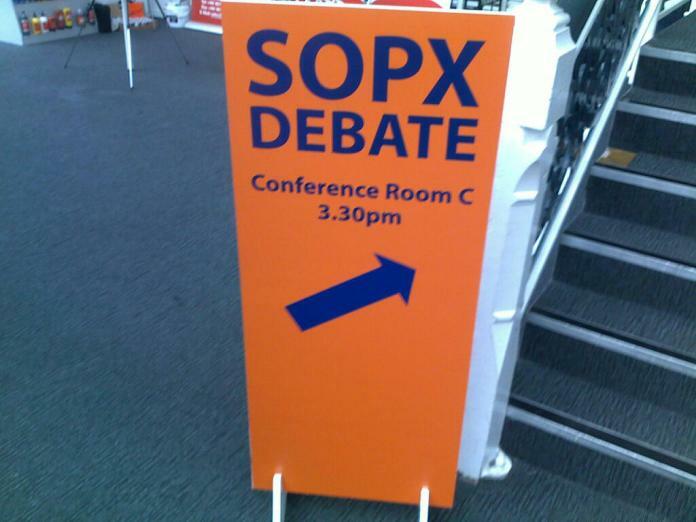 I considered going to the SOPX debate. It was only 2.30pm. I would have had to hang around for another hour. 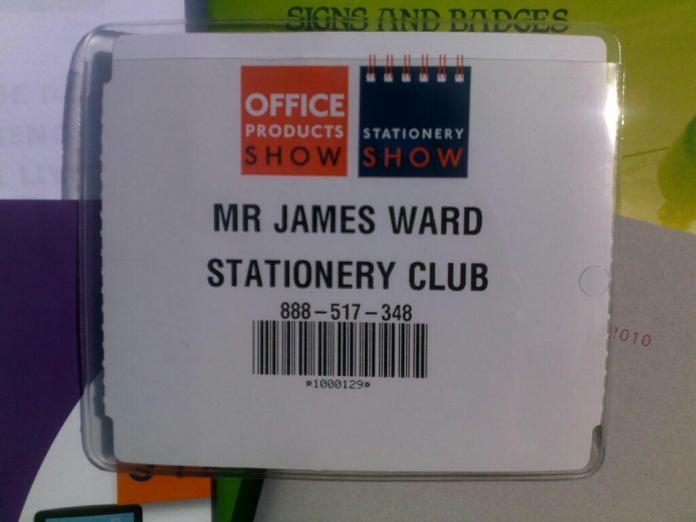 I doubted the debate would have been as passionate as the one at the last Stationery Club, so decided to give it a miss. I wandered around a bit more. Collected a couple of catalogues from different stands and left. I didn’t belong here. That show is missing women! Women who get exciting at new things and pretty packages. 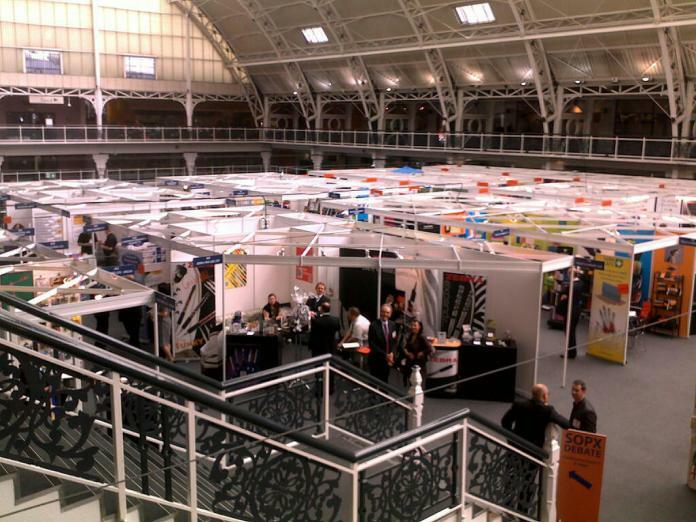 The last trade show I went to was about ten times the size of that show and for crafting & scrap booking. And nearly every booth had food either hard candies or a chocolate fountain. Also giveaways of t-shirts & products to promote excitement. I need a drink just thinking about it.. I would have liked it if they’d given out T-shirts. I’d like a Stabilo Bionic Worker T-shirt. I’d like to think that I – along with your parents – have encouraged you to believe that there’s nowhere you don’t belong. Whether it be a lesbian hockey team, a classroom full of Estonians or a factory producing ball bearings, I want you to be able to look around and think: “I am as good as the other people here. I belong here as much as they do.” Keep your chin up. Thank you Greg, I’ll try to keep that in mind in future. Sometimes it’s easy to give in to feelings of insecurity and self-doubt. I’ll remember your supportive words next time I’m in a situation like that. Oh Christ, is that Olympia? I spent 8 hours feeling out of place there recently. 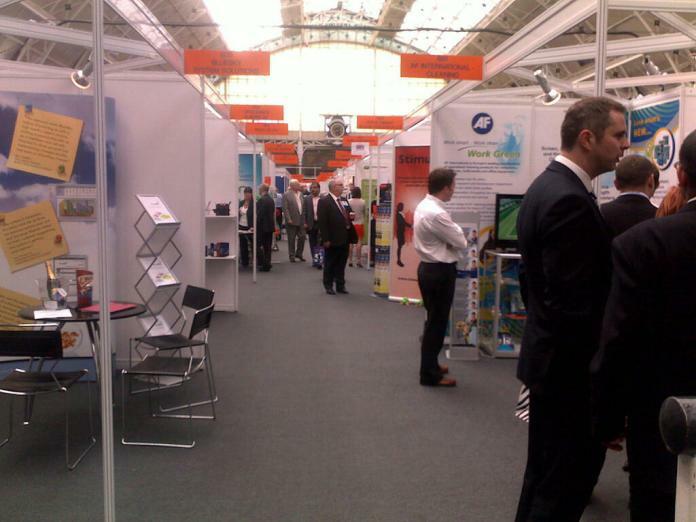 It was the Business Design Centre in Islington. I don’t think SOPX is big enough for Olympia. I reckon we should try to get on the events panel next year.